Radisson is an international network of convenient, modern hotels for comfortable business and leisure travel. Radisson offers you a wide choice of hetels in London. The luxurious Radisson Blu Edwardian, Grafton Hotel, located in the West End, is perfectly situated for both business and leisure travellers. The mood at this central London hotel is smart, colonial and clubby. Situated in a prime location in Bloomsbury, 50 meters from the British Museum is the delightful Radisson Blu Edwardian, Kenilworth Hotel. Located in the heart of theatre land, the five-star Radisson Edwardian Hampshire hotel dominates the corner of Leicester Square, famous for its glamorous film premieres. The Berkshire Hotel is a delightful boutique hotel tucked away on Oxford Street and opposite Bond Street. Just outside the door is the heartland of London shopping from designer stores to high street names. This Victorian townhouse has been elegantly converted into a stylish 215- bedroom hotel in fashionable South Kensington. The delightful Radisson Blu Edwardian, Bloomsbury Street Hotel is set amidst fashionable Georgian Squares. The hotel is also surrounded by imposing university buildings and the British Museum. Superbly situated, 4-star Radisson Blu Edwardian, New Providence Wharf offers a stylish spa and restaurant, near the O2 and Canary Wharf. 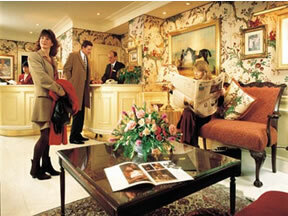 The hotel is a 10-minute walk to Canary Wharf Tube Station. 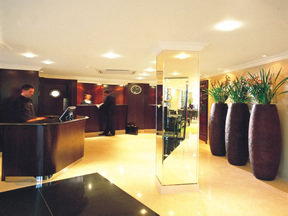 The Radisson Blu Edwardian, Heathrow Hotel is situated minutes from Heathrow Airport. The hotel is lavishly designed and decorated with Oriental artefacts, specially commissioned artwork and designer furniture. The Radisson Blu Edwardian, Leicester Square is a discrete and quiet four-star London hotel with friendly service and an exquisite location, between the National Gallery and Leicester Square. The Radisson BLU Portman Hotel is dedicated to the needs of both the business traveller and those on holiday. Located in the celebrated West End of London, in a secluded corner of picturesque Portman Square near Marble Arch.